We say that everything happens through Hasghacha Pratis. Today is the Yohr Tzeit of HaRav Yosef Eliyahu Henkin z”l, who was universally accepted as the most important Posek in the USA prior to R’ Moshe. While Rav Henkin was still alive, the veneration of R’ Moshe towards R’ Henkin was palpable and reflected in his Tshuvos in Igros Moshe. It was not uncommon to find R’ Moshe write a long T’shuva wherein it is clear that R’ Moshe’s opinion is to be lenient. 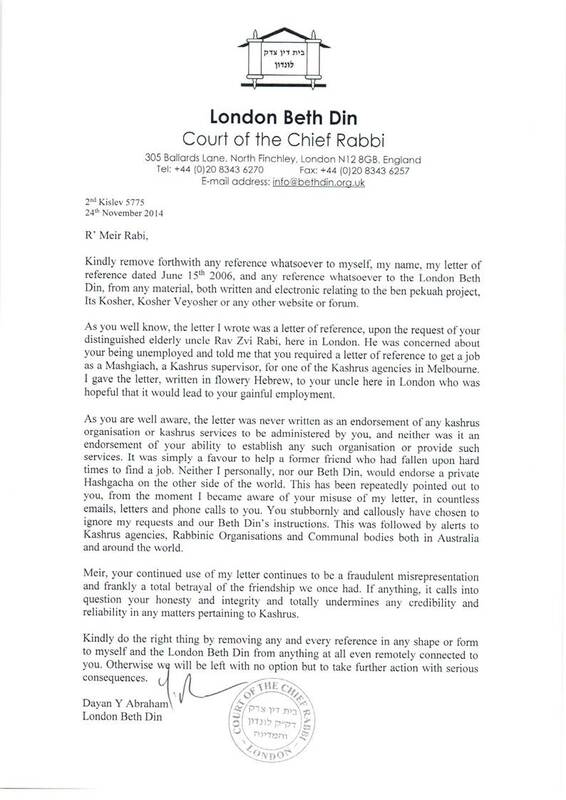 At the conclusion of the Tshuva, R’ Moshe will write that “since Rav Henkin does not agree, one should follow R’ Henkin’s opinion.” There were a number of issues, however, where R’ Moshe stood his ground, so to speak, and Paskened differently to R’ Henkin. One of the main issues, perhaps even the main issue was the question of the status of a Reform or Civil marriage. Was such a marriage binding in the sense that it concluded and was considered an act of Kiddushin? R’ Moshe was lenient. He held, and I believe that this is the widely held view today, that for a number of reasons, such as the fact that there were no Kosher witnesses, we should not consider such ceremonies as connoting a formal kiddushin/marriage. R’ Henkin on the other hand, basically held that if it looks like a fish, smells like a fish and tastes like a fish, it is a fish. Since the said couple had a ceremony and are known to be cohabiting, then it must be a marriage in the sense that if one or both subsequently sought a divorce, they would be required to obtain a formal Get. In addition, one ramification of R’ Henkin’s view was that if the woman in such a civil or reform marriage didn’t obtain a Get, and bore a child with another man, that child would be considered a Mamzer. This was a critical Machlokes between the two, and in their and our day, it is just as important. I was interested then in this article published in Yediot on R’ Henkin’s Yohr Tzeit, which described an alleged sham civil marriage in which the couple lived together for 4 months for the purposes of a Visa. The Rabbanut paskened that since there was no real marriage, as per R’ Moshe’s Psak, above, the lady would not require a Get and could therefore now marry a Cohen (a Cohen is forbiidden to marry a divorcee). It is difficult to extrapolate whether R’ Henkin would agree that in this case there was no formal marriage either. Perhaps even R’ Henkin would agree that there was no marriage L’Chatchila and therefore no Get was required, thereby permitting the lady to marry a Cohen? I wrote years ago that the need for a “get” in cases of civil or reform marriage of nonreligious in our day, is “politically” motivated and has nothing to do with Halacha.